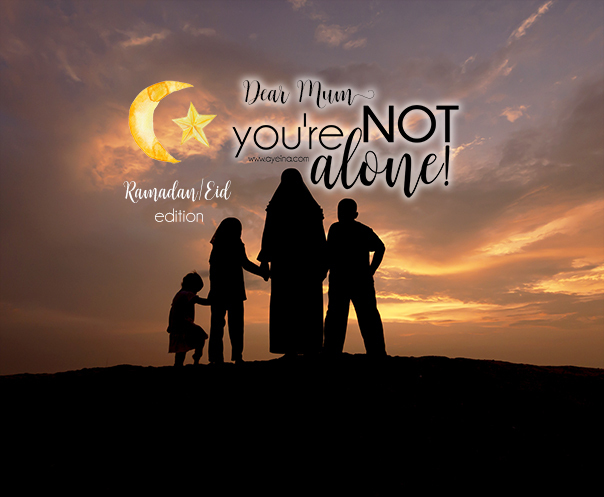 To a mum going through an emotional roller coaster of not meeting her Ramadan expectations, you’re not alone! To a mum unable to fast due to constant nausea as a result of her pregnancy, you’re not alone! To a mum breastfeeding and sleep deprived but dreaming about fasting, you’re not alone! To a mum who spent all her Ramadan in the kitchen serving, you’re not alone! To a mum exhausted after running around her kids all day while fasting, you’re not alone! To a mum pretending to fast and going through the whole day without food during her menstruation, you’re not alone! To a mum sweating in the kitchen making iftaar in this summer heat, you’re not alone! To a mum who’s ready for suhoor after 2 hours of sleep, you’re not alone! To a mum who rocks a baby while eating her food at suhoor, you’re not alone! To a mum who sends her husband off to taraweeh and stays home with the kids yearning to go to the mosque, you’re not alone! 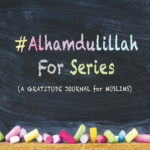 To a mum who was hoping to give more time to Allah this Ramadan – yet finding all her time consumed by the kids, you’re not alone! 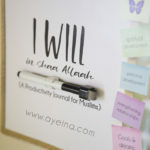 Across the world, there’s another mum feeling just the same – like how Asiya, Muslim Matters, Finding Joy, Sparrows and Lilly, Kristen Oliphant, This Here Now, Beautiful in his Time and so many other mothers beautifully written about how we are not alone! We’re in this together! You and I – each one of us – we have each other’s back! To a mum who has to wake up 1-2 hours before suhoor but keeps pushing the snooze button out of exhaustion and then rush through the last 30 minutes, you’re not alone! To a mum whose menstruation started in the last 10 days of Ramadan – right when she was thinking to go for taraweeh, you’re not alone! To a mum who has to constantly remind herself that she’s fasting when she wants to shout at kids as her patience wears thin, you’re not alone! To a mum crying in the creases of her pillow because she couldn’t meet her Laylatul Qadr goals, you’re not alone! 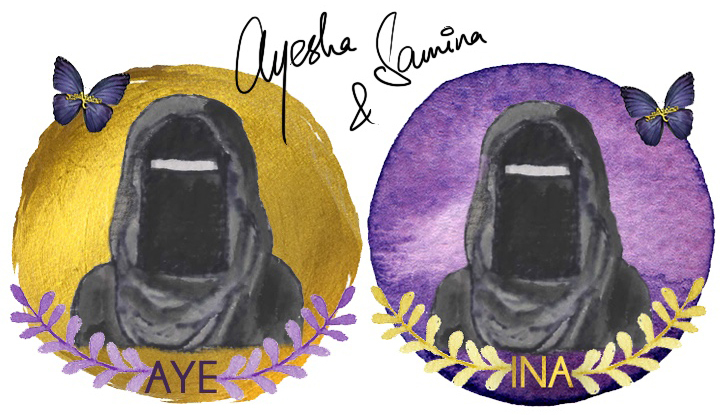 To a mum secretly envious of her husband observing itekaf, you’re not alone! To a mum feeling like a failure for not doing all the Ramadan activities with her kids, you’re not alone! To a mum with a dry throat after reciting endless surahs, rhymes and anasheed – finding her child still wide awake, you’re not alone! 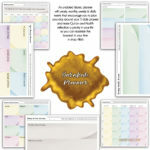 To a mum filling up her gratitude journal for a positivity rush – yet feeling down, you’re not alone! To a mum whose fasting stomach growls even harder as she feeds her child, you’re not alone! To a mum whose child wants to go to the toilet as she is about to break the fast, you’re not alone! To a mum who prays with a sleeping child in her arms, you’re not alone! To a mum whose back aches as a result, you’re not alone! To a mum who starts her salah with a long surah – only to shorten it for her crying child, you’re not alone! To a mum whose children start fighting as soon as she stands up for the prayer, you’re not alone! To a mum who is scared for her child’s safety during salah, you’re not alone! To a mum who struggles to concentrate on the words her mouth recites while her mind is ladened with the worries of her child, you’re not alone! To a mum who extends her prostration to accommodate a playing child on her back, you’re not alone! To a mum who prays with a baby attached to her in a sling while fasting, you’re not alone! To a mum whose child starts crying as soon as she starts praying taraweeh, you’re not alone! To a mum who tries to focus on her salah while her child asks her the 1000 questions, you’re not alone! To a mum whose children tug onto her clothes while she persistently prays the congregational prayer, you’re not alone! To a mum who fears going to the mosque with her kids because she doesn’t want to disturb everyone’s prayer, you’re not alone! To a mum who can’t go to the mosque alone because no one is there to look after her kids, you’re not alone! May your love for the prayer and your Lord exceed the love for anything and anyone else! To a mum who spent her entire Eid in the kitchen, you’re not alone! To a mum who hoped her kids wouldn’t ruin their Eid clothes the minute they step out of the home, you’re not alone! To a mum whose kids were bored on Eid although she tried her best to get them all excited, you’re not alone! 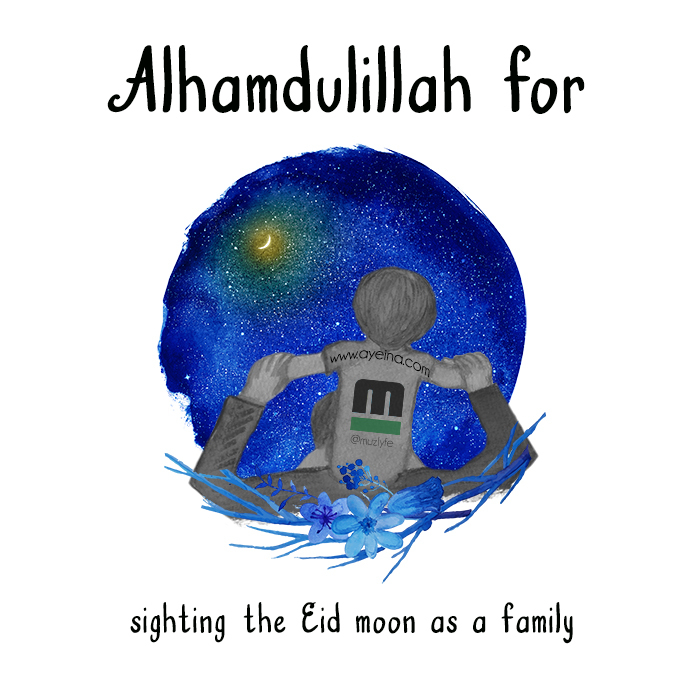 To a mum whose Eid banner is torn into half by her toddler but she still keeps it up – because EID, you’re not alone! To a mum whose Eid decor is up on the walls till next Eid arrives, you’re not alone! To a mum who eats half the candies she collects for her kids’ Eid celebration, you’re not alone! To a mum whose kids don’t want to talk on phone to all the relatives on Eid and she feels like apologizing from their behalf, you’re not alone! To a mum whose toddler throws a tantrum at the Eid prayer place because he didn’t get a candy aunty’s giving to all the kids, you’re not alone! To a mum whose kids cried for henna like their life depended on it – only to wipe it all over as soon as it’s done, you’re not alone! and then laying down to put them to bed and then waking up 3 hours later :/ Allah o akbar! how did THAT happen? Being a mum is so rewarding but it sooo hard too….we are all in this together! Masha Allah. This is a beautiful post and so relatable. A heart touching one, indeed. Kudos to the Mums who are not alone… Jumma Mubarak! Alhamdulillah for mothers their sacrifices are all accounted for. May we be great mothers and May Allah bless our mothers. Beautiful post. I loved this post form the moment I saw it when you first published it on IG. This Ramadan was tough for me due to pregnancy, and 2 toddlers. Not being able to fast, and then preparing for a move. Hence the late comment here even though I read it before. I pray that despite our struggles our every action is accepted from Allah as an Ibadaah.